You probably know Botox for its cosmetic benefits. However, Botox (or botulinum toxin) was approved by the FDA in 2010 to treat migraines. That’s right, the same injection that can reduce your Crow’s feet and frown lines may also be able to prevent your debilitating headaches. Botox works by blocking a neurotransmitter that signals a muscle to contract. The contraction of the muscles in the head and neck are considered a culprit for some types of migraines. It has also been said that Botox can limit the pain messages sent to the brain. Are you a good candidate for Botox therapy for migraine prevention? In general, you’ll need to have suffered from migraines on a chronic basis, or for 15 or more days out of the month. 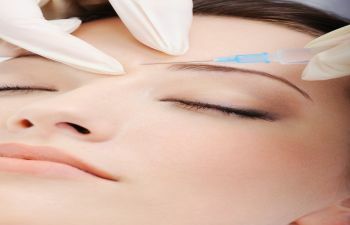 In addition, Botox is ideal for those that have failed to get relief on at least two other migraine medications first. Administering Botox for migraines requires a certain level of precision, skill and experience on behalf of the doctor. Don’t choose just anyone to administer your Botox injections for your chronic headaches. Your chances of successful treatment rely heavily on your provider’s qualifications in this area. When choosing a facial plastic surgeon, such as Dr. Ben Talei, you can reap the added benefit of having a physician who brings superior skill in placing facial injections, allowing you to treat areas of facial aging at the same time you are treating your migraines. Our Beverly Hills office offers Botox as well as a full line of the latest fillers to reduce wrinkles, replace lost volume and revitalize your facial appearance. Dr. Talei is known for his elite injection techniques that minimize swelling and bruising. Want to learn more about Botox for wrinkles and/or migraines? Call Dr. Ben Talei today. « What Makes Lips Attractive?